Okay, not the original corporation, but one of the most powerful institutions that has ever existed. 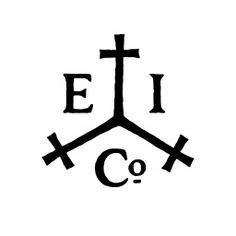 Also called the “Honourable East India Company” or the “British East India Company” and informally as “John Company,” this joint-stock company at one time controlled half the world’s trade. China created the first such businesses, but the earliest European example was in France in about 1250. In England. this sort of thing was jump-started by the discovery of the New World. In 1553, The East India Company received a royal charter from Queen Elizabeth I. Royalty and rich men owned the shares. The charter awarded the newly formed company a monopoly on trade with all countries east of the Cape of Good Hope and west of the Straits of Magellan for a period of fifteen years. Anybody else who traded in that half of the world was in breach of the charter. If the trader had not been issued a license from the Company, it would forfeit their ships and cargo (half of which went to the Crown and the other half to the Company). Owners of such a company could also face imprisonment at the "royal pleasure." 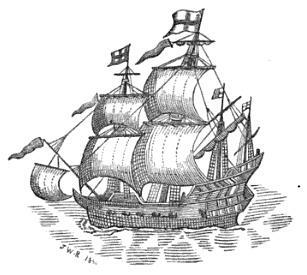 The ship Red Dragon was the East India Company's first war ship. The first two successful voyages were made in 1601 (returning in 1603) and 1604, while a third voyage lasted from 1607 to 1610. Though the company originally struggled, facing stiff competition from the Dutch East India Company, when they began to start factories for the processing of pepper and other spices, profits began to grow. King James I of England renewed the Company’s charter in 1609, allowing the Honorable East India company an indefinite monopoly on trade in the East. 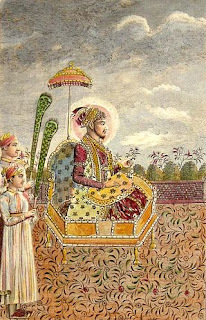 In 1612, he authorized agents of the Company to act as ambassadors to the rulers of India, the Moghul Empire. This resulted in more factories and more trade. 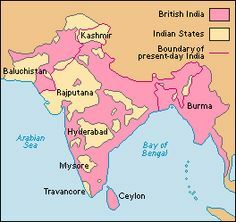 The English crown continued to grant favors to the East India Company. By 1690, it was able to mint its own money, acquire new self-directed territory, build forts and castles, raise and command armies, and literally to wage war. For all intents and purposes, the Company was a sovereign nation. It used this power to gain influence in China and even Japan. 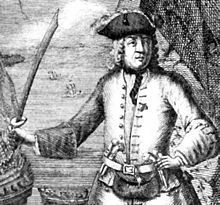 The Indian government gave the strongest possible protest, and England’s government responded by offering roughly a million dollars reward for Avery’s capture, and making him ineligible for any future pardons offered to other pirates. Despite this, rioting broke out near the East India Company’s holdings. Four of its factories were seized and destroyed. Company officers were jailed, and nearly lynched by angry Moguls. At about this time, the company’s monopoly was rescinded by the English crown. New trading companies were started. But the East India was so firmly entrenched in the region’s trade that no real competition took place. 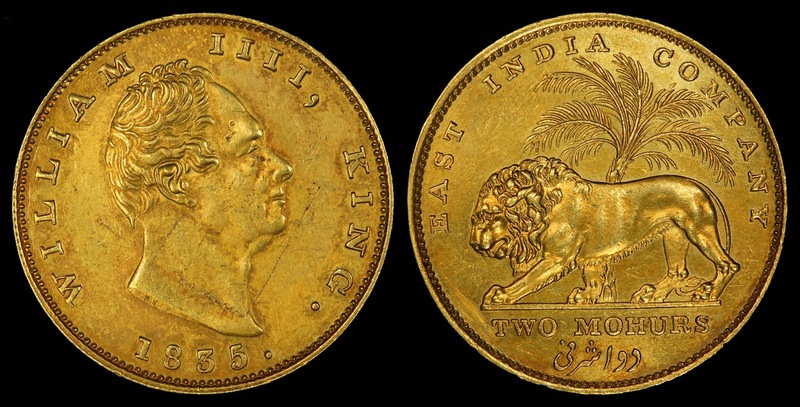 Shares of the rival companies were bought up by the East India’s officers and main shareholders, and the major competitor, the English Company Trading to the East Indies, was absorbed by the older company. The British government began to make efforts to re-assert control, but a series of skirmishes between Britain and France caused the government to renew and continue granting extensions to the monopoly. In return, the Company loaned the government £1,000,000. When war finally broke out, it was between the Company and France. And it took place on Indian soil. The Company was victorious again. The company began to trade in the materials used to make gunpowder, started and won a war with China, and took over almost the entire Indian sub-continent. But you can’t rule a country the way a business is run. Pandemics, uprisings, and famines took their toll on the lands run by the Company, and in 1857, the British government formally took over ruler ship of the vast lands it had conquered. And what has all this to do with pirate in the Caribbean? Not very much. 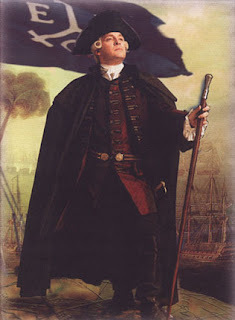 Though pirates like Avery did cruise the Indian Ocean looking for (and often winning) plunder and riches, the East India Company did not ever directly control territory in the Caribbean. So why does John Company appear in pirate tales as the Bad Guys? For one thing, the Company was outside of any government control for most of its history. Its Board of Directors, managers, and employees committed any number of atrocities against various non-European natives, while its official monopoly prevented many daring and talented traders from ever making the fortunes that they might otherwise have amassed. It may not be true, but it makes a great story. Just wanted to thank you for all your wonderful blog posts and history lessons. This one goes hand in hand with the TV show, Taboo. Thanks!